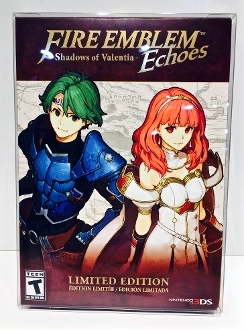 1 box protector for Fire Emblem Echoes: Shadows of Valentia 3DS. This item may be a different size in other parts of the world so contact us with your size if you have a question as to whether it will fit or not. We only have the NTSC version to go by.